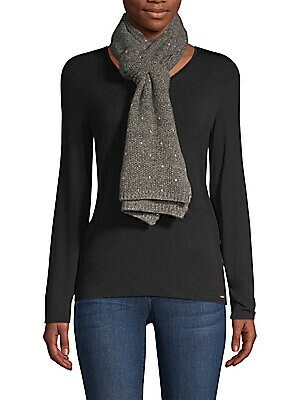 Cozy cashmere scarf flaunts scattered sequins. 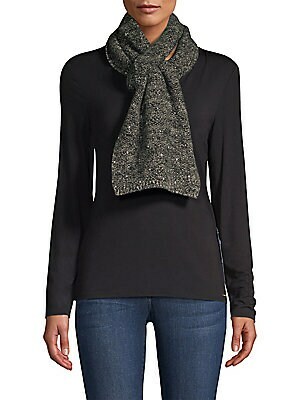 Cashmere Dry clean Imported SIZE 10"W x 66"L. Soft Accessorie - Cold Weather Accessories. Carolyn Rowan. Color: Black Combo. This luxurious cashmere scarf flaunts speckled sequins. Cashmere Dry clean Imported SIZE 10"W x 66"L. Soft Accessorie - Cold Weather Accessories. Carolyn Rowan. Color: Grey Combo. 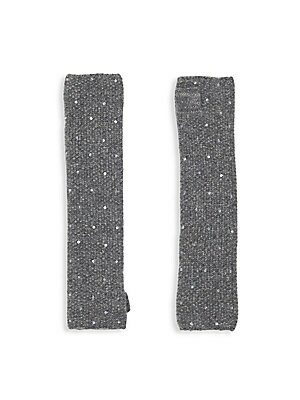 Tweed cashmere long fingerless gloves with subtle scattered sequins. Fingerless Cashmere/sequins Dry clean Imported SIZE Length, about 15". Soft Accessorie - Cold Weather Accessories. Carolyn Rowan. Color: Grey Combo.